Editor's Note: The following is a report on the practical applications of Dr. Tim and Darcy Kimmel's book, Extreme Grandparenting: The Ride of Your Life, (Tyndale House Publishers, 2007). 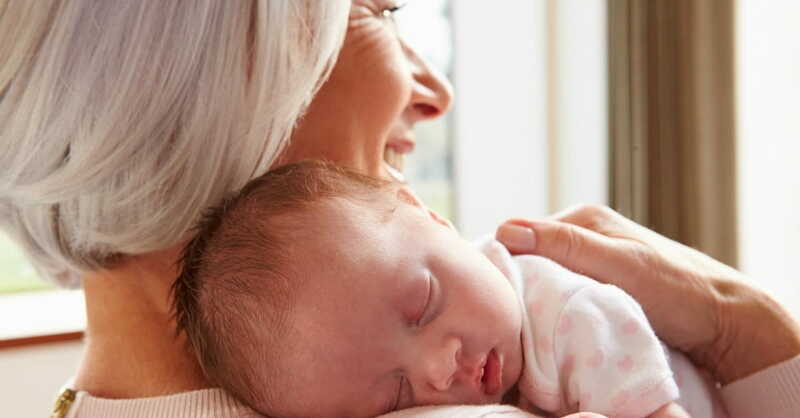 Realize that becoming a grandparent isn’t just another season of your life; it’s a God-given calling. Take full advantage of the awesome opportunity to influence another generation of children in your family. Even though you likely have more freedom to live the lifestyle you want than your own grandparents of old did (better health, more money, etc. ), you share the same responsibility to be committed grandparents. View your investment in your grandchildren as one of the best investment opportunities you’ll ever have, because it will pay off in significant ways that have eternal value. Don’t let the comforts and freedoms of an empty nest or retirement cause you to neglect your grandchildren. Don’t let other noble causes (like ministry work through your church) divert too much of your time and energy away from your grandchildren. Decide to stay connected, emotionally engaged, and personally involved in your children’s and grandchildren’s lives. Ask God to give you a clear understanding of the great potential good that could occur if you fully invested in your grandchildren’s lives. Ask God to help you develop qualities that will make you an invaluable asset to your children and grandchildren: maturity, experience, perspective, a willingness to help out, and decision to love unconditionally. Make a deliberate decision to learn from life and keep growing, especially spiritually (such as through reading and living out biblical truth). Use what you’ve learned to encourage and support your family members. Approach problems with calmness and hope. Be willing to help your children with your grandchildren by giving them time, offering them relief from their parenting duties for some much-needed breaks, serving as a sounding board for them to try out parenting ideas (without giving them unsolicited advice), and assist them with money in cases of true need, as God leads you. Love your children and grandchildren so much that you commit your will to their needs and best interests, regardless of the cost. 3. Model your relationship with your grandchildren on God's relationship with you. Just like God does with you, show your grandchildren kindness, love, patience, and acceptance – no matter what they say or how they behave. Create a comfortable affinity between your heart and theirs by giving them grace. Grant them the same freedoms that God grants to you: the freedom to be different (by refraining from passing moral judgments on what they do or say that, while not biblically wrong, aren’t what you personally agree with), the freedom to vulnerable (by making it safe for them to share their doubts and fears, and to work on their inadequacies with you), the freedom to be candid (by making it safe for them to openly and honestly share their thoughts and feelings with you), and the freedom to make mistakes (by responding graciously when they do). 4. Give them a blessing. Bless your grandchildren whenever you can, by joining their parents in helping to meet their three key inner needs: a secure love, a significant purpose, and a sufficient hope. Bless your grandchildren with a secure love by letting them know that you accept them as they are, assuring them that you will always do your best to love and honor them, and giving them plenty of affection (such as hugs). Bless them with a significant purpose by regularly affirming them, applauding the things they do well, encouraging them when they’re working hard to overcome challenges, giving them your attention, boosting their confidence in who they are and why they matter, set clear moral boundaries to give them accountability, praise them when they honor those boundaries, and lovingly correct them when they don’t. Bless them with a significant hope by helping them discover the ultimate hope found in a relationship with Jesus; helping them recognize and develop their God-given abilities; encouraging them to try new things, think on their own, and stretch themselves to their limits; and helping them succeed in their various endeavors. Pray for them often. Refuse to show favoritism for one grandchild over another. Approach every point of contact with your grandchildren as an opportunity to bless them in some way, spiritually, emotionally, or physically. 5. Leave a good legacy. Realize that you’re determining your legacy every day by the choices you make about how to use your resources (time, energy, talents, etc.) and how to respond to the various opportunities God brings your way. Make the most of your chances to do something good in your grandchildren’s lives that will live on after you die. If you have regrets over opportunities you’ve squandered in the past to be a good parent, ask God to bring the healing that’s needed – in your own attitudes and actions, and in your relationships with your children and grandchildren. Repent of your sins, seek forgiveness from God and your children, and forgive yourself after God has forgiven you. Expect that problems in your relationships with your children that took years to form won’t go away quickly; be patient, allowing your children to gradually rebuild trust in you that will hopefully lead to restoration. Learn how to be an ally to your sons-in-law or daughters-in-law; don’t do anything that would alienate them, and do everything you can to build close relationships with them. Respect your grandchildren’s parent’s standards and rules, even if you disagree. Never undermine their parenting authority or the unity in their marriage. Make sure you speak positively about both of them. Bring honor to your family’s reputations by living with integrity, both publicly and privately. Make decisions with an eternal perspective in mind. Demonstrate what faith in action looks like to your grandchildren who are watching you. Shine the light of the Gospel into your grandchildren’s lives by incorporating biblical truth into every part of your life. Model a faithful life for them, so they can clearly see the light of hope in a dark world. Make right moral choices and lovingly help your grandchildren develop the discernment they need to make right choices themselves. Update yourself on your grandchildren’s culture, becoming informed about their movies, music, video games, fashions, etc. so they’ll know you understand their world and can speak into it in relevant ways. Use your lifetime of knowledge and wisdom to help your grandchildren set a clear course for their lives. Help them develop these key character traits: contagious faith (by showing them how to take God out of a box and build their whole lives around Him), consistent integrity (by showing them how to do the right thing even when no one is looking), practical poise (by helping them act appropriately in various situations), personal discipline (by showing them the power of self-denial and self-control to achieve what they want), steadfast endurance (by helping them keep going when many others are telling them to give up), and inspirational courage (by showing them how to do the right thing even when they’re afraid). But as you set standards, be careful not to push unsolicited advice on your grandchildren. Instead, earn the right to be heard by developing close relationships with them in which they’re naturally inclined to ask for your advice. If your children go through a divorce, do all you can to help your grandchildren. Find an outlet for your pain and support from others so you don’t add to your children’s and grandchildren’s pain, don’t torture yourself with regrets and guilt, ask God to give you an objective perspective on the situation so you don’t take sides (especially around your grandchildren), let your grandchildren know that they can trust you to listen without criticizing them as they process their emotions, assure them that your love for them will never change – despite the change in their circumstances, pray for them and ask your friends to pray for them as well, protect your legal rights of access to them, let them know that the divorce wasn’t their fault and that you won’t abandon them, answer their questions, always speak positively about both of their parents, and remain a calm presence in the midst of their turmoil. 9. Respond wisely if your grandchildren come to live with you. If your grandchildren ever join your household for any reason (such as when their parents are going through a temporary crisis, or if they can’t care for them permanently), trust God to help you every step of the way. Deal honestly with your disappointment from having this responsibility limit your leisure and increase your stress. But don’t take your anger out on your grandchildren; remember that they’re the innocent victims of their circumstances. Don’t make them feel guilty about the sacrifices you’re making. Instead, welcome them warmly into your home. Establish reasonable standards and discipline, working with your grandchildren’s parents if they’re still involved in their lives. Be a grandparent first, before acting as a parent, and keep hope alive that their parents will come to take over their full parenting responsibilities again. Hold the parents accountable for whatever financial and time contribution they’re capable of making, and seek help from whatever assistance programs you can find from the government and charities if you need it. Ask other family members like siblings, aunts, uncles, and other grandparents to pitch in to help. Find a support group for others in your situation, and take advantage of childcare and kids’ Sunday School classes through your church. 10. Love step-grandchildren and adopted grandchildren. Respond to these family members with just as much love as you would give a traditional grandchild. Ask God to give you His perspective and view your step-grandchildren and adopted grandchildren as vital parts of your family. Refuse to express disappointment or blame over the circumstances or people who brought about your family configuration. Give your new grandchildren plenty of time to figure out where you fit into their lives, and be gentle with them. Speak respectfully about the other adults in their lives. Pray for each of your grandchildren often. 11. Spoil your grandchildren constructively. While it’s great to want to give generously to your grandchildren, be sure to obey two basic rules when doing so. Make sure what you’re doing is: okay with their parents, and helping your grandchildren grown into better people. Consider giving gifts of time, character building, and prayer rather than just money or things. Don’t undermine your grandchildren’s ability to learn the responsibility that comes from working hard and earning their rewards. And don’t undermine their parents’ authority to teach them that important lesson. 12. Intervene instead of interfering. Recognize that intervention becomes interference when you push you advice on your children when they aren’t asking for it, when you criticize them in front of your grandchildren, or when you undermine their authority. Diffuse or prevent tension by distinguishing between morally absolute values mentioned in the Bible and personal values that are simply a matter of preference – and choosing not to get upset when your grandchildren’s actions or appearance don’t align with your personal values. If a family crisis requires you to intervene in your grandchildren’s lives, be sure to think and pray about how best to do so before taking action. Ask God to give you the grace you need to resolve conflicts well whenever they come up between you and your children or grandchildren. Don’t put pressure on your children or grandchildren to visit you on holidays like Christmas; give them the freedom to work out whatever schedules are best for them. If you have a grandchild with special needs, get to know his or her condition well and make sure your expectations for your grandchild are realistic. Be willing to babysit your grandchildren when you can, and do your best to care for them well while they’re with you. Set clear boundaries with your grandchildren’s parents so they’ll know how often and how long you’re available to babysit, and you won’t feel resentful. Before you get together with your grandchildren, have a plan for how to use your time with them in fun and meaningful ways. Protect your grandchildren when they visit you by making sure your house is safe for them (such as by placing medicines and cleaning solutions out of reach) and making sure you’re prepared in case of an accident (such as by having a first aid kit on hand and knowing how to perform CPR). Ask their parents to let you know their schedules, needs, rituals, etc., and show respect for them. Talk with their parents about how to handle discipline whenever you need to correct them for something. Respect the parents’ rules, if you don’t agree with them. 14. Connect with teenage grandchildren. Know that you can still enjoy close relationships with your grandchildren even when they become teenagers. Just keep in mind that you should accept them for who they are, be patient with them, take the initiative to find out about what’s going on in their lives (such as by asking them thoughtful questions), and getting to know their culture so you can engage in discussions that are relevant to them. 15. Reach out across long distances. If you live a long distance away from some or all of your grandchildren, keep in touch as often as you can through e-mails, phone calls, letters, notes, exchanging digital photos, etc. Try to visit them for the celebrations and milestones in their lives, like holidays, recitals, baptisms, and graduations. Adapted from Extreme Grandparenting: The Ride of Your Life, copyright 2007 by Dr. Tim Kimmel and Darcy Kimmel. Published by Tyndale House Publishers, Carol Stream, Il., www.tyndale.com. Dr. Tim Kimmel and his wife, Darcy, are cofounders of Family Matters, a ministry dedicated to equipping families for every age and stage of life, and speakers for FamilyLife ministry’s I Still Do and Weekend to Remember events. Tim is also the author of several books, including Little House on the Freeway and Raising Kids for True Greatness. A former radio talk show host, Tim has also appeared on several radio and television programs as a featured guest. He received his doctor of ministry degree from Western Seminary.